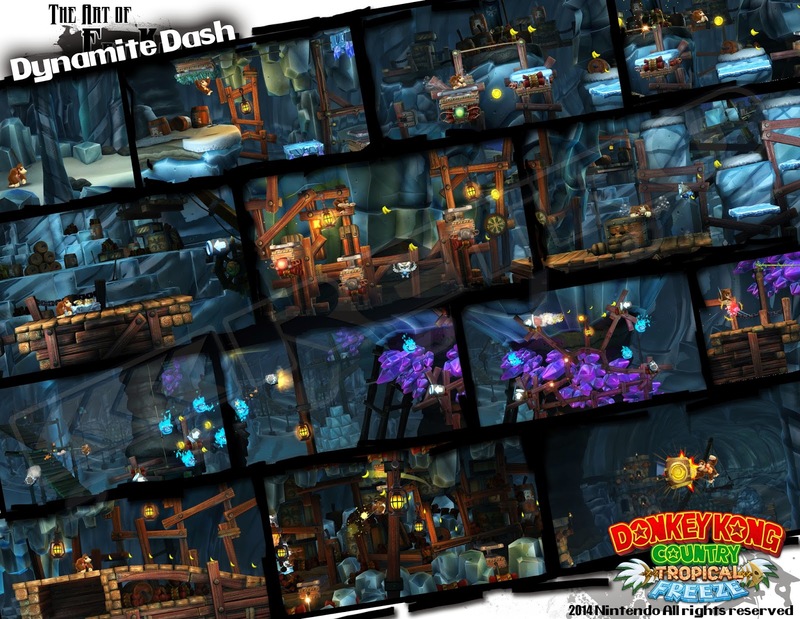 Land of KoZ: More art from DKCTF! This level was an interesting challenge. 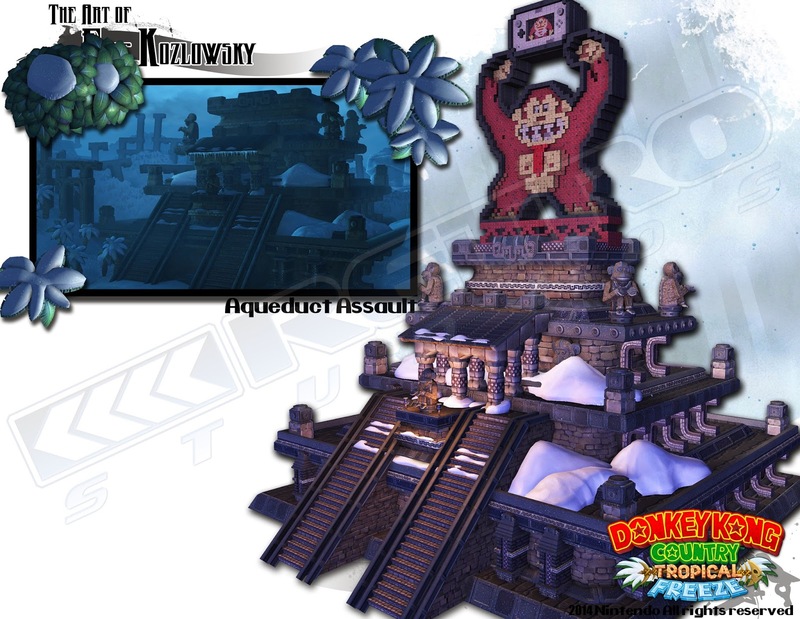 It takes place on DK island but completely frozen over. 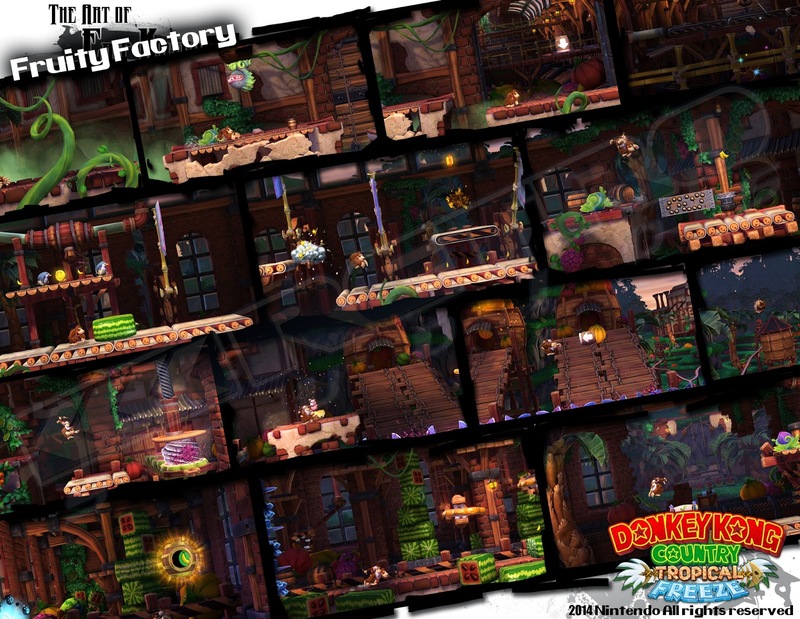 Each level of the island takes place in a different section of the previous games world. So Aqueduct Assault had a good basis to build off of. However the assets used for DKCR couldn't be carried over. The textures were too low res (and didn't have normal maps) and the geometry was really low poly. So using the previous game as a point of reference I rebuilt the ruins structures. I even got to flesh out the look for the Ziggurat structures. This level was quite a beast to make and went under multiple revisions. 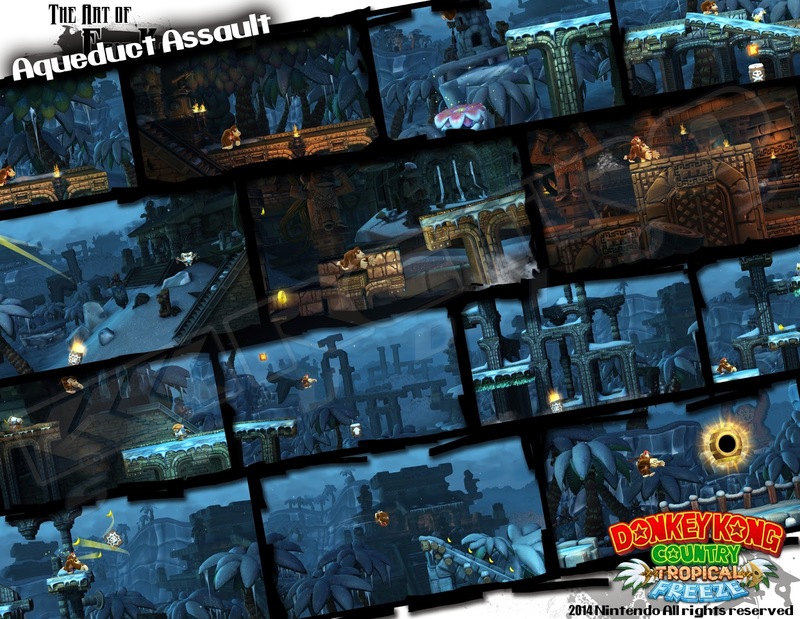 The fact that DK shoots into the background twice meant a lot of art needed to be generated. On top of that while the look for the stucco and the factory pieces themselves were already developed. We had nothing for the factory itself. I came up with the look using the pieces and textures made by other artists. This was then in turn used in other levels. In the end this level turned out really great and I'm happy to say I got the approval to hide and easter egg in the background. Fans of old school Nintendo, and Donkey Kong will enjoy it I'm sure! This might have been one of the most difficult levels I worked on. There was only a very loose idea for the level and that was plunger based dynamite. I decided to make it a mine of sorts. In my mind this is where the Snomads mined their ice to make their buildings. The level went through a few iterations. I worked with fellow artist Reed Ketcham on some of the ice tunnels. I made the initial block out and he refined them with better textures. 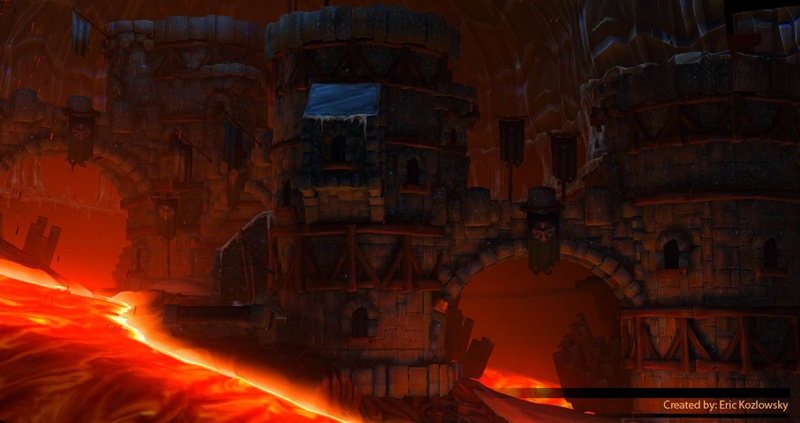 Considering the toughness of the level (in terms of creation) I'm glad it turned out as well as it did. This level was a very interesting challenge. How do you merge lava and ice? 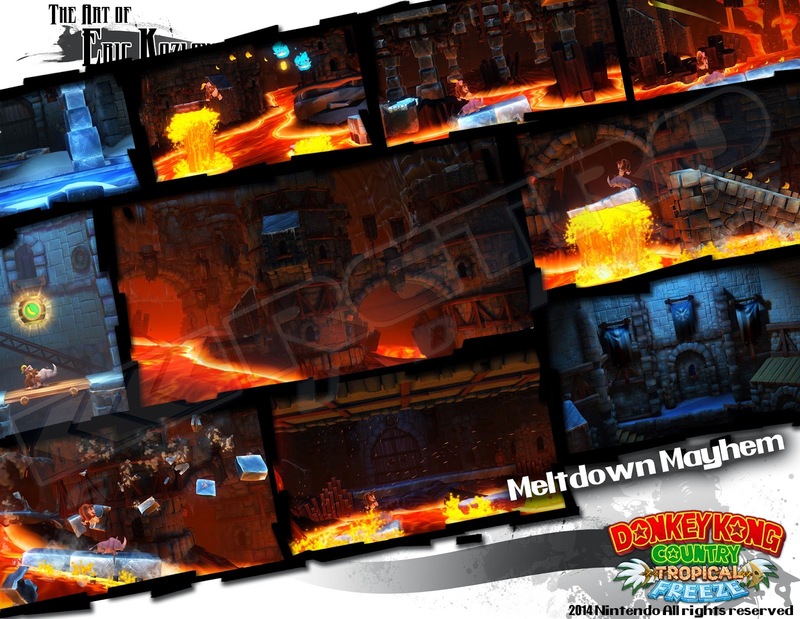 The idea for this level is that DK shows up and basically "restarts" the Volcano thus causing the Snomads main fortress to start melting. Coming up with the look for the Snomads structures was a blast. I love architecture and making the Ice castles was some of my favorite work. I also got to come up with a look for the cooled lava. Which unfortunately you barely see in the level due to the lighting. The initial turn around for this level was pretty short compared to other levels I worked on, so the pressure was on to deliver something epic for the last level in the game, and in a short period of time. I am an artist in the game industry, I love making video games, a dream that I've held since as long as I can remember.